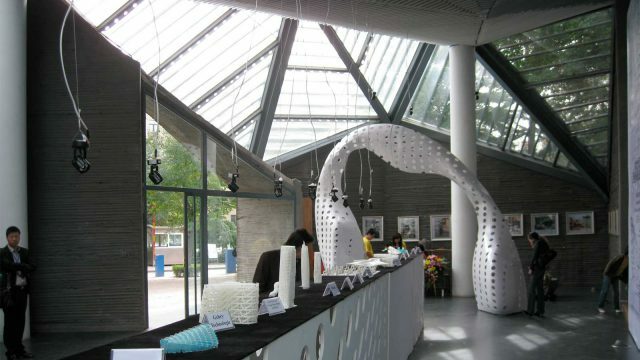 NEX have been invited to participate in the Parametric Prototypes exhibition in Xi’an China. The show will run from the 17-30 October in the Jia Pingwa Museum of Arts, and will feature the work of almost 20 Internationally recongnised offices including Reiser + Umemoto, Zaha Hadid, Arup AGU, KPF, IJP, Gramazio + Kohler and Gehry Technologies. Alan Dempsey will give a talk on recent work from the office and the AA FAB programme at the opening conference on Sunday 19 October. Thanks to Tom Verebes and Yanchaun Lui for the invitation. Further details can be found here.